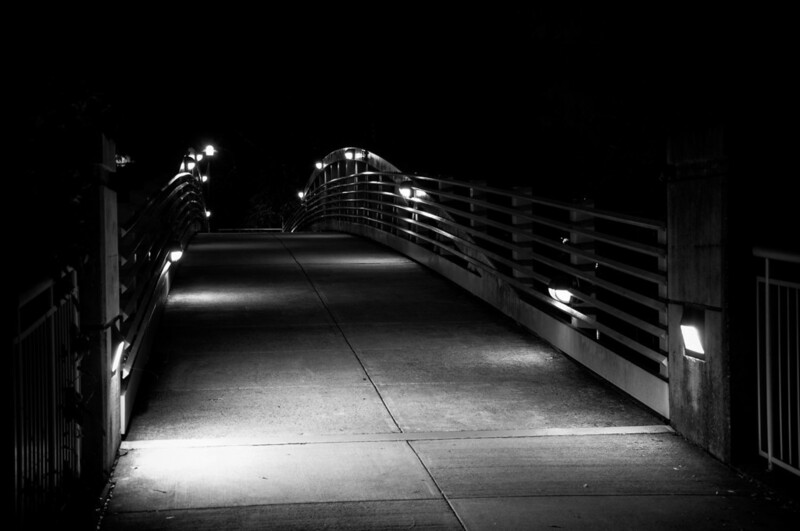 An Empty Bridge | Just Shooting Memories! I was checking on some of the visitors of the site yesterday and noticed some traffic from reddit.com. I had looked at the site a while back and did not explore much further, but took a big interest in it this time. After a few minutes, I was intrigued by all the different stories and links just thrown out there. If you are looking for random thoughts on just about any topic, it can be found on reddit. This is a small foot bridge along the Tennessee River in Knoxville. I took this late one evening after waiting around on the Gay Street bridge for the sunset. There was so little foot traffic on the greenway beside the river that getting this shot was not that difficult. I love the peace an quite on a night like this one was.